One 14 karat custom made filigree ring. Twenty-seven seed pearls. 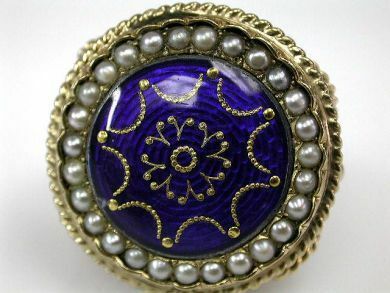 The filigree ring has a blue enamel center with gold tone floral pattern.